12mm White Corian moon with 2 stars. 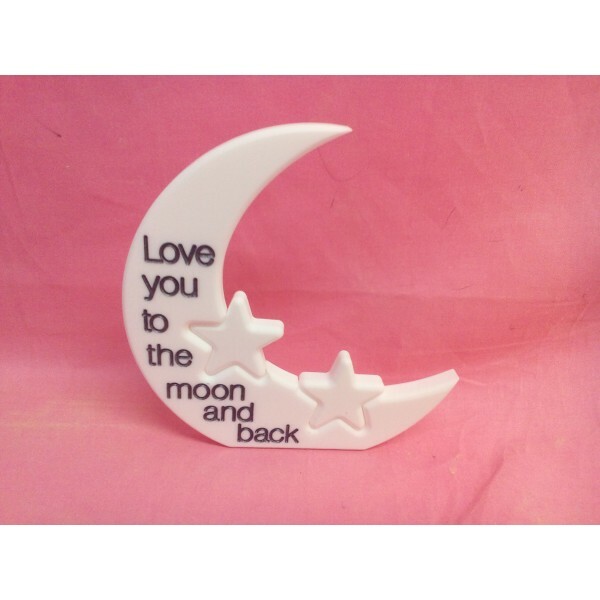 Engraved with , Love you to the moon and back. Stars can be engraved but can only have 3 letters on each due to size. Please leave a message with payment what colour engraving you would like.